The celebrated Belgian violin maker Nicolas-François Vuillaume is overshadowed by his more famous elder brother, Jean-Baptiste Vuillaume, whose genius as a maker and entrepreneur in the 19th century propelled him to the centre of the violin making trade. However, the relationship between the two siblings was more equal than first appears. After Jean-Baptiste had established his business empire in Paris in the 1820s, his brother expanded it by setting up in Brussels, the next great city of the Francophone musical world. Eventually he became luthier to the Royal Conservatoire, spreading the fame and influence of his family name. Throughout their lives, surviving letters reveal the close business relationship between the two brothers. As a maker, Nicolas-François was likewise strongly connected to his brother’s workshop, and even after he had set up his business in Brussels in the 1830s he was making instruments for his brother to sell. Instruments survive by Nicolas-François that are labelled as made in Paris during his numerous visits to the city, and his name is occasionally found written on the bottom of labels in the instruments of Jean-Baptiste, that are otherwise indistinguishable from others by the more famous of the two brothers. While these demonstrate Nicolas-François’s skill with the Stradivari model, back in Brussels he appears to have been influenced by local interest in early music, probably inspired by the musicologist François-Joseph Fetis, and the collections of early instruments that were being assembled by Victor-Charles Mahillon that would be turned over to the Royal Conservatoire (eventually forming the Brussels Musical Instrument Museum). The result was a preponderance of violins inspired by the Brescian makers Gaspar da Salò and Maggini for the Brussels market. These instruments, with their ornate double purfling, unusual modelling and often outsized proportions, are often less commercially interesting but are no less brilliantly made. In Paris, Jean-Baptiste had understood the importance of associating himself with the most celebrated instruments known within Parisian society. Hence, even though he never owned Paganini’s ‘Canone’, it became one of the principal models for his Guarneri copies. The same applied to the 1711 ‘Duport’, one of the most famous cellos in Paris, which was at the time owned by one of the most influential performers of the century. 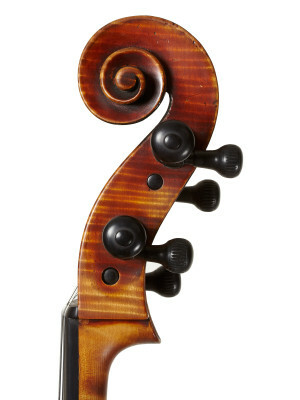 It became the chief influence for Jean-Baptiste’s cellos. 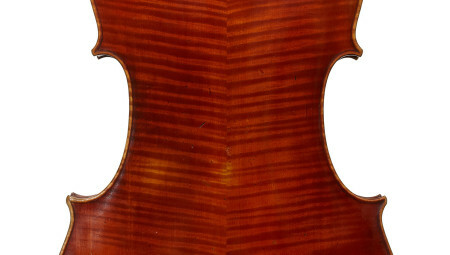 For his brother, the Stradivari cello belonging to Adrien-François Servais fulfilled that role. Servais was praised by Berlioz as ‘the Nicolo Paganini of the violoncello’. He was a giant of a man and the first to use the endpin as an essential part of virtuosic technique. 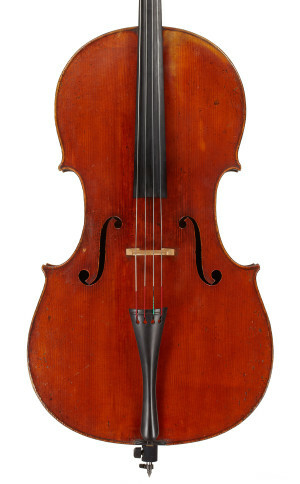 Servais’s cello was a Stradivari of 1701 (now preserved at the Smithsonian Institution in Washington, DC) made to the model Stradivari described on his paper templates as ‘Violoncello di Venezia’, with a slightly longer back length of 788mm (31 inches). Thanks to Servais’s size he had no problem playing a large instrument and it escaped the common 19th-century fate of being reduced in size. This 1862 ‘Servais’ copy is an impressive example of Nicolas-François’s powers as a Stradivari copyist. The choice of maple superbly echoes the ‘Servais’ and the extremely wide-grained spruce used for the top is likewise reminiscent of the original. The deep-red varnish captures the essence of the ‘Servais’, although this remains in near-pristine condition on the original, while Vuillaume’s copy has aged gently over a century and a half of use.